Get options for greeting card formats, design layouts, art, supplies, and messages. Then put them all together to create your own greeting card. You can never go wrong with choosing to make your own greeting card. This is true whether you are a veteran card maker or new to card making and just want to make a greeting card. All the same, there are five aspects involved. One affects the other. Nevertheless, feel free to change the order. This will juggle your mind, leading to various kinds of card creations. You don’t need an actual celebration to create your own greeting card. However, starting with a reason in mind could make the process easier. For instance, a missing you card, saying hello card, thinking of you card, just because card, or thank you card works great. Besides, they are appealing anytime all year round. Also, combining occasions is another idea. For example, using Christmas images for an anniversary card or Easter symbols for a birthday card is a wonderful idea. Why? These unique cards are great all year round for events that coincide. When it comes to greeting card formats, there are many possibilities. A few examples are accordion, single window, embossed window, and double doors. Still, the most common one is the standard fold or single gate format. Also, there are many ways to transform this single door greeting card format. They include rectangular, square, portrait, or landscape formats. Greeting card designs are like layouts for your cards. You don’t build a house without blueprints. Neither do you take trips without some sort of map or itinerary. 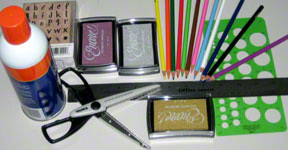 So, why embark on card making adventures without greeting card sketches? Want to go beyond an ordinary sketch? 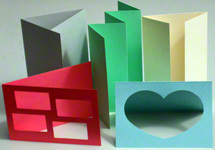 Then consider creating greeting card prototypes. The only exception is if you are using card making instructions for your project. In that case, the sketch is already directly or indirectly integrated into the instructions. Nonetheless, this step is so important and diversified that there are books just on greeting card design layouts alone. This is where your creativity and imagination really come into play. For the greeting card art, it’s best to use something meaningful to the person receiving the card. Even if it’s a picture. Use it like that. Alternatively, transform the picture into art. For instance, turn it into a silhouette, collage, or use quilling. If nothing comes to mind right now, that’s fine. You can still make your own greeting card by playing around with other elements to add creativity. Hence, that becomes the art. Apart from this, the craft stores carry all sorts of greeting card graphics as well for you to buy. At this point, use the decisions from the earlier discussions to create a checklist of all the needed greeting card supplies. Remember, another option is to reverse the order. In other words, use the supplies you have to decide on the art, format, and layout you'll use to make your own greeting card. Either way, use your checklist to confirm you have all the supplies. If not, simply make a stop at your friendly craft store. This is another place your imagination and creativity come into play. For this, the verses can range from famous quotes to full phrases, rhymes, and poems. However, just like the greeting card art, the best greeting card messages come from something significant to the card recipient. Once you’ve decided on the words, the easiest way to put it down is to patiently hand write them. Other options include using calligraphy to create fancy lettering, rubber ink stamping them, or even printing them. The ink stamping is either one letter at a time or whole phrases - with or without mounting blocks. Nowadays, there are even rubber stamps with full greeting card messages. Isn’t that cool? A little humor is always good in card making. Plus, with humor, creating funny cards is inevitable. So, when you make your own greeting card, too much rigidity with this process doesn't help your creativity. Also, when you are done, inspire someone else. In other words, give the whole world an opportunity to admire your card. Remember, the goal is to make your own greeting card with ease. So throw in some enthusiasm, good attitude, and have some fun. Want to create your own funny verse for FREE? Try this Funny Email For Everyone site (but don't forget to return here for more greeting cards).